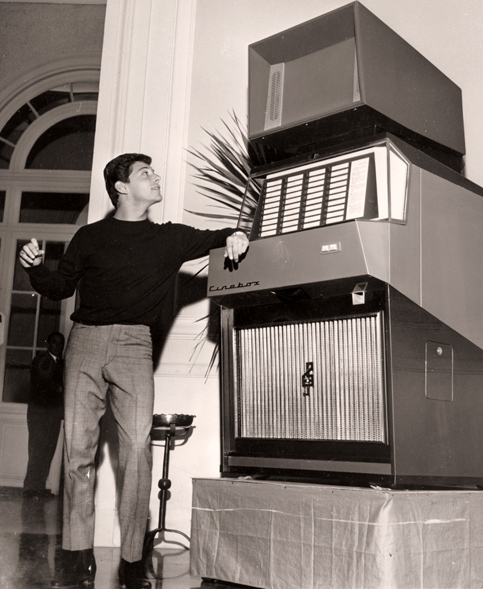 Frankie Avalon testimonial of the Cinebox at the Sanremo Festival 1964. Frankie Avalon with the dancer Marisa Ancelli, “Tornerai” (Cinebox, 1962). [From the collection of Andrea Ambrosini]. 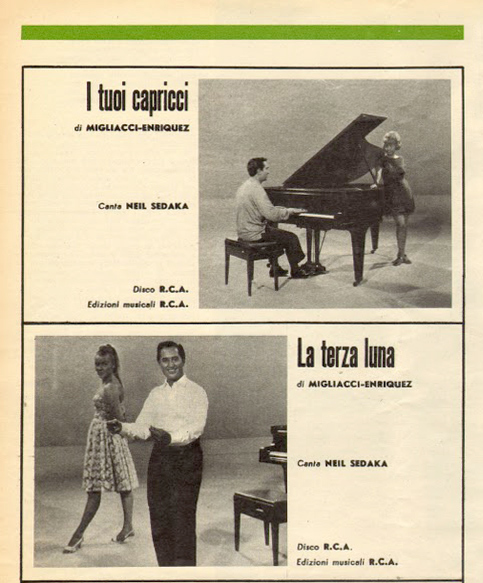 Between 1962 and 1964, SIF had completely renewed its film repertoire, offering opportunities to the new heartthrobs of the younger generation such as American popstars like Paul Anka, Neil Sedaka, Frankie Avalon and Bobby Rydell who were asked to sing in Italian, which was very fashionable at the time. 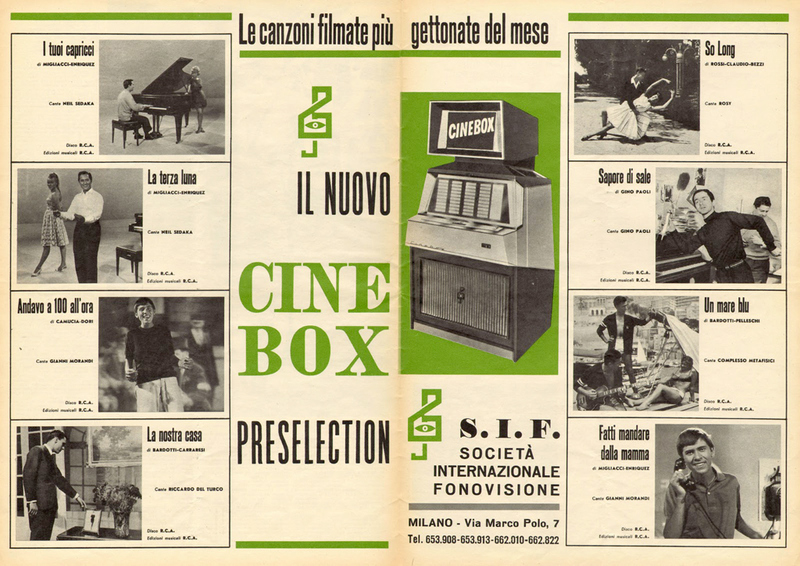 Paul Anka “Estate senza te” (Cinebox, 1964). [From the collection of Andrea Ambrosini]. 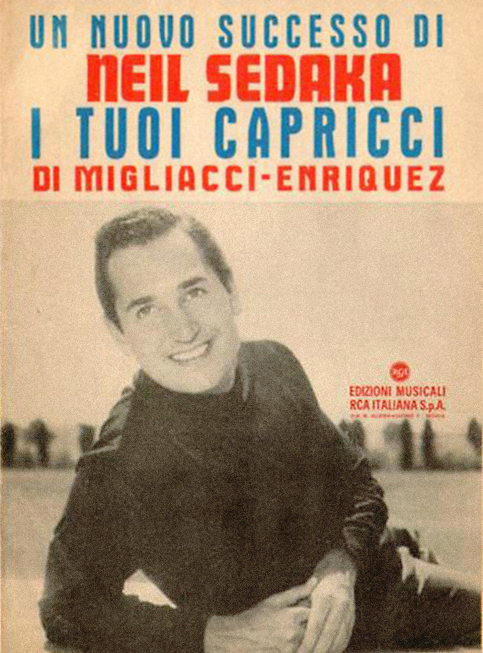 A music video created in Italian for the Italian Cinebox in 1963 entitled: “I tuoi capricci” (Look inside your heart) by Neil Sedaka with Mary Di Pietro. 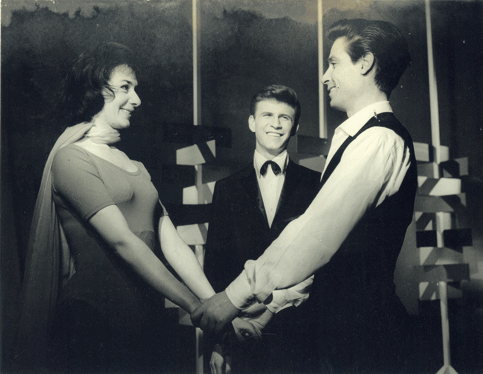 Bobby Rydell on the set of "Sway" (Cinebox, 1963). Bobby Rydell “Un bacio piccolissimo” (Cinebox, 1964). [From the collection of Pietro Bologna]. 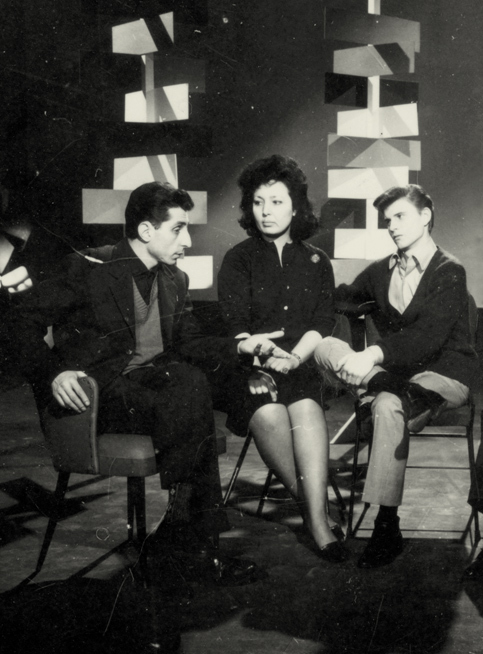 The director Vito Molinari (on the left) with Bobby Rydell on the set of "Sway" (Cinebox, 1963).